A Harrisburg native, Beggs joined the SIUC education faculty in 1966 as an assistant professor after completing his doctoral degree at the University of Iowa. He distinguished himself as one of his college’s top teachers and most prolific researchers. He 1970, he was named associate dean of the Graduate School. He made full professor in 1972 and from 1973-1975, he served as assistant dean of the College of Education. In 1975-1976, he became acting dean of University Programs and acting assistant vice president for academic affairs and research. He subsequently became associate dean of the SIUC College of Education and Human Services in 1975 and dean of the college in 1981, a post he held until becoming chancellor in 1996. 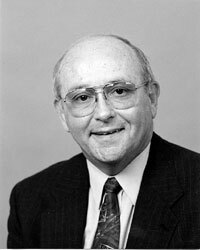 After his term at Southern, Beggs retired from SIUC and became the 12th president of Wichita State University in January 1999.